Feathers Recollections Color Splash Clear Acrylic Stamp & Stencil Set NEW! 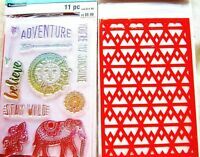 Adventure Recollections Color Splash Clear Acrylic Stamp & Stencil Set NEW! 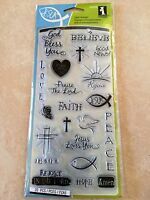 Free Spirit Recollections Color Splash Clear Acrylic Stamp & Stencil Set NEW! Dreamcatcher Recollections Color Splash Clear Acrylic Stamp & Stencil Set NEW!